This is one of the most popular Bangkok street food and very healthy breakfast or evening snack with a cup of coffee or tea. Let's see how to make this dutchified. Add 5 tsp of oil with all purpose flour and mix it. Gently add lukewarm water tsp by tsp and make it dough. Make it to lemon size balls. Break eggs and beat with little salt. Add sliced banana with beaten eggs and mix it. Flatten the dough balls using rolling pin like chappathi until it become thin. (10 cm in diameter). Heat a pan and place a chappathi on it. Apply the banana slices on the center of chappathi and cover it all the edges like the photo. Apply a tsp of butter on the side of chappathi. It will start cook one side. After a minute rotate to back side and cook for another minute. Do this step and until both the side become golden in color. Now the dutchified is ready to serve. It will be crispy and you will feel cooked and sweetness of banana with the salted cooked egg. Definitely you will like this recipe. Cauliflower is one of the vegetable being used in our regular diet. Also it has impressive array of nutrients including vitamins, minerals, antioxidants and other phyto-chemicals.Lets see how to make kurma or Salan with the cauliflower which will be best combinations with Chappathi (wheat bread), Naan, Roti, Poori, Dosa and Rice cake(Idli). Soak poppy seeds and cashew for 10 minutes. Cut the cauliflower florets and cook in a vessel for 10 minutes along with little salt. Do not pressure cook. Add green chili, garlic , ginger and curry leaves in a jar and make it to smooth paste. Heat a pan and add 2 to 3 tsp of oil. Once oil hot add fennel seeds, cumin seeds, cinnamon sticks, bay leaf and fry it. Once it become golden in color add the garlic, ginger, green chili paste and stir it until the raw smell goes out. Now add the chopped onion and fry it until it become translucent. Add the chopped tomato and stir it until it gets mushy. Add the cooked cauliflower florets, chili powder, coriander powder, turmeric powder and stir it. Add enough water and bring it to boil for 4 to 5 minutes in a medium flame. Finally add the ground poppy seeds, coconut and cashew nuts paste and stir it. Cook for another 4 minutes. Now the tasty Cauliflower Kurma is ready to serve. Try and post your comments and suggestions and share to your friends. Broad beans reducing bad cholesterol, normalize blood pressure, keeps nerves and the heart healthy. It will heal Anemia since it is rich in Iron and antioxidant. Iron available in broad beans helps to produce red blood cells in our body. It is rich in Vitamins A and C, fluid and protein. Potassium available in broad beans helps to maintain the water and acid levels in our body with the help of electrolytes. Constipation problem will be resolved since it is rich in fiber. 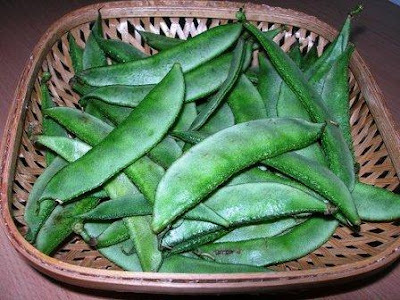 If women having this broad beans during the starting period of pregnancy, it will help to improve smooth development of baby's brain. It also has enough calcium substantial required for strengthening our bone and teeth. What is next? Lets take Broad beans in our regular diet. It's a busy world. Most of us just taking oats or corn flakes for break fast and rushing to office. Somebody not even those. Why don't we try this Rava Upma for break fast. It will save time and you will not skip breakfast. Let's make Rava upma for today break fast. Its very simple to make. It will take max 15 minutes for preparation. Dry roast the Rava without oil in a pan and take out into a bowl. Roasted Rava is available in the market nowadays. We can use that one as well. Heat ghee in a pan. We can use oil as well. But ghee will give extra flavor to the Upma. Once ghee hot, add mustard seeds, urad dal, chana dal. Once mustard starts spluttering and chana dal become golden in color, add slit green chilli, chopped ginger, Curry leaves and fry it. Add carrot and fry it. Once carrot fried well, add onion and fry it until it become translucent. Now Add tomato, salt and fry it until it become mushy. Add turmeric powder and stir it. Now slowly add the Rava and keep stir in parallel. Because Rava will make lumps if we not stir. Keep stir for a minute. Now the tasty Rava upma is ready to serve. Coconut or Peanut chutney are best combination for Rava upma. Both chutney recipes available in my site. Try and post your comments and suggestion below. Share to your friends. Matar Mushroom is one of the favorite curry for everyone, available in most of the Indian restaurants. It will be used as side for wheat bread(Roti or chapathi). 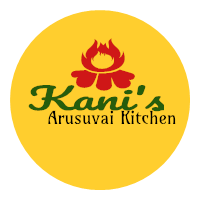 Rice cake (Idli) , Dosa,etc. Off course it will be good combination with Rice as well. I like this recipe since mushroom will provide better immune system to our body. Let's prepare this recipe in home. Cut the mushroom as per the required size and wash well. So that the sand or soil will be removed. Gently squeeze the mushroom to remove the excess water. Chop the tomatoes and make it to puree. Heat oil in a pan and add cumin seeds. Once cumin seeds fried, add chopped onion and ginger garlic paste and stir it. Add broken red chilli and fry it until the onion gets translucent. Now add the red chilli powder, coriander powder, turmeric powder, cumin powder and stir it. Add a cup of water and boil it until the raw smell of spices goes out. Now add the tomato puree and mix it. Cook for another 2 minutes. Now add the Mushroom and Matar (green peas) and stir it. Cook for another 2-3 minutes. Basically fresh peas and mushroom will cook faster. Finally add the condensed milk or cream and stir it and cook for another 3 minutes in a medium flame. It is very simple to make it. Try and post your comments and suggestions. Share to your friends with the options below.